From first semester freshmen discovering collegiate life to doctoral candidates wrapping up their dissertations, students are the lifeblood of our campus and an essential part of our community. 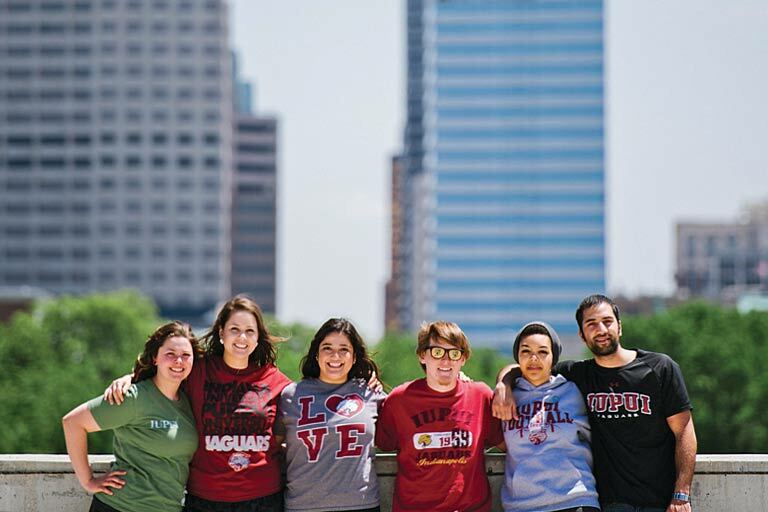 At IUPUI, our strategic priority is student success. In the last year, we welcomed nearly 30,000 students to campus, including the largest, most talented, and most diverse freshman class to date. Record increases in Latino, Asian, and African American beginning students have been the result of smart recruiting, competitive scholarships, and innovative programs that allow students to engage with the community socially, politically, and professionally. With on-campus housing and more than 400 student organizations at IUPUI, today’s students do more than take classes on campus. 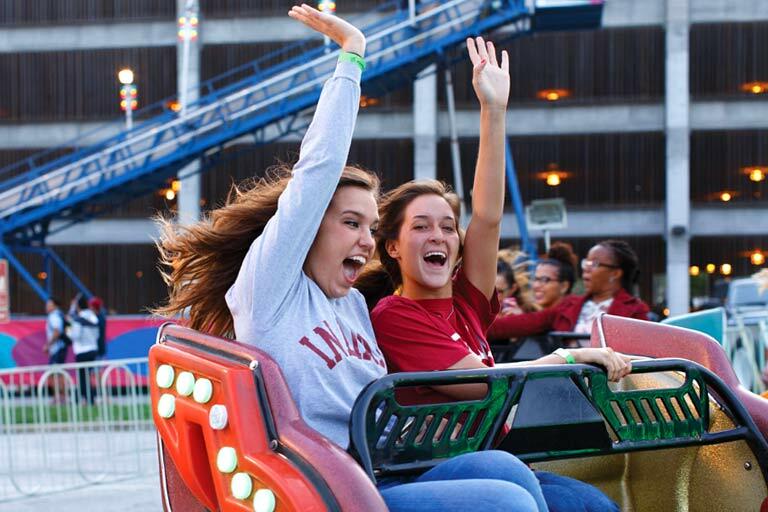 They build traditions like the IUPUI Regatta. They give back to the community through Jagathon, the IUPUI dance marathon that has raised hundreds of thousands of dollars for Riley Hospital for Children. They serve as leaders of student government and compete in Division I sports as IUPUI Jaguars. In May 2016, IUPUI awarded more than 6,600 degrees at Lucas Oil Stadium. Our students come from nearly 150 countries, with the majority hailing from Indiana. After graduation, more than 80 percent of our graduates stay in the Hoosier state to launch careers as lawyers, dentists, teachers, doctors, artists, and more. 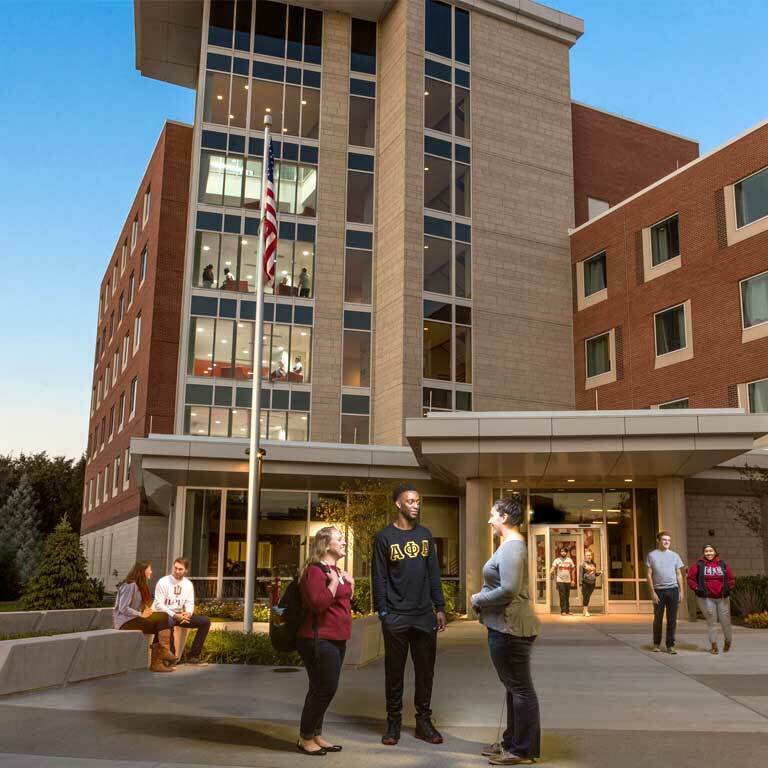 In the fall of 2016, IUPUI opened its first new residence hall, which joined other on-campus housing options. In 2019, IUPUI will celebrate 50 years of making an exceptional impact in Indianapolis and beyond. We provide a platform for discovery. We are proud of our accomplishments and embrace future challenges. We know that with each graduate and every credit hour completed, IUPUI continually improves our world. The outlook is promising. The inexhaustible spirit of IUPUI motivates faculty and staff to achieve loftier goals while our students work to expand the limits of understanding. Along with our corporate, nonprofit, and government partners, IUPUI students, faculty, and staff are dedicated to enriching our community, our campus, and our world. Together, we will discover new ways to fulfill the promise. IUPUI students are the leaders of tomorrow. That is the transformative power of their education: their scholarship, leadership, and research ... their engagement, their energy, and their campus pride.